Green tea has been around the world for more than five thousand years and has been a staple diet of the Orientals. The Chinese, in particular, have been using green tea to cure simple illnesses like headache to more complicated ailments like depression. Its healing properties have been well-documented by the scientific community and many people will attest to its efficacy. Aside from its medicinal value, it is also a proven weight loss aid. • Arthritis inhibitor. Arthritis is one of the most debilitating diseases known to man. People suffering from this malady are subjected to intense pain and are often incapacitated. 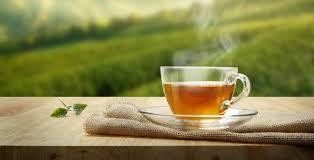 Green tea contains properties which prevent the swelling of the joints and alleviate joint pains. • Cholesterol buster. Accumulation of bad cholesterol in the body leads to heart disease. One active ingredient found in green tea leaves is polyphenois, an anti-oxidant which counterbalances the effects of cholesterol while at the same time help delay the aging process and fight off cancer. The American Journal of Clinical Nutrition even conducted a study participated in by more than 1,000 people to test the effectiveness of green tea in reducing bad cholesterol in the body. True enough, the results reveal that there is a significant decrease in bad cholesterol of both heart-disease inflected patients and health people. • Metabolism booster. Among the active ingredients of green tea is epigallocatechin gallate, a compound which collaborates with other natural body enzymes to intensify the fat-burning capacity of the body through higher metabolism rate. Aside from its fat-burning capability, green tea also provides energy build-up which is essential to anyone undergoing strenuous workouts to reduce excessive body weight. Chemical properties present in green tea leaves stimulates the liver to use fat deposits in the body, instead of carbohydrates, as body fuel resulting to a stronger stamina. • Blood sugar stabilizer. Green tea has been tried and tested by many weight watchers to regulate and normalize the blood-sugar level of the body. It is also a good suppressant of sweets-craving which can result to a healthier eating habit. Its anti-oxidant properties is also believed to be 200% much potent that vitamin E and therefore more effective in thwarting the effects of aging. • Food craving deterrent. A study has been conducted to test the reaction to food of those who drink green tea and those who don’t. The study revealed that tea drinkers tend to shy away from food more than those who didn’t. It also contains a very low calorie count that drinking a lot of this concoction will not affect one’s weight loss diet. It is also a better alternative to coffee which makes a drinker feel bloated after a cup or two. Although green tea contains caffeine as well, it also has theanine which counterbalances caffeine effects. Over thousands of years, green tea has provided people great health benefits. In this day and age of modern and fast-paced living, drinking this healthy concoction will enable people to meet the challenges of daily life while at same time maintain a well-developed physique. ⟵Cabbage Soup Diet : Is it safe?